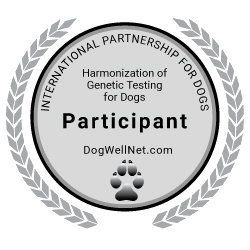 In nasal parakeratosis a genetic disorder causes the dogs nose to dry out. Especially, the dorsal surface of the planum forms keratinous scales, which adhere to the nose. Bloody fissures might occur in this structures, leading to chronic irritation and inflammation of the noses skin. The colour of the skin might change from dark to lighter colour. Affected dogs develop first symptoms at the age of six month to one year. The nose can be treated with Vaseline, propylene glycol or salicylic acid containing products to ease the symptoms. The causative gene defect in Labrador Retrievers was discovered by scientists of the institute for genetics, Vetsuisse-faculty of the university Bern (Group of Prof. Tosso Leeb). The genetic cause for HNPK in Greyhounds was found by the group of Prof. Drögemüller (University of Bern).